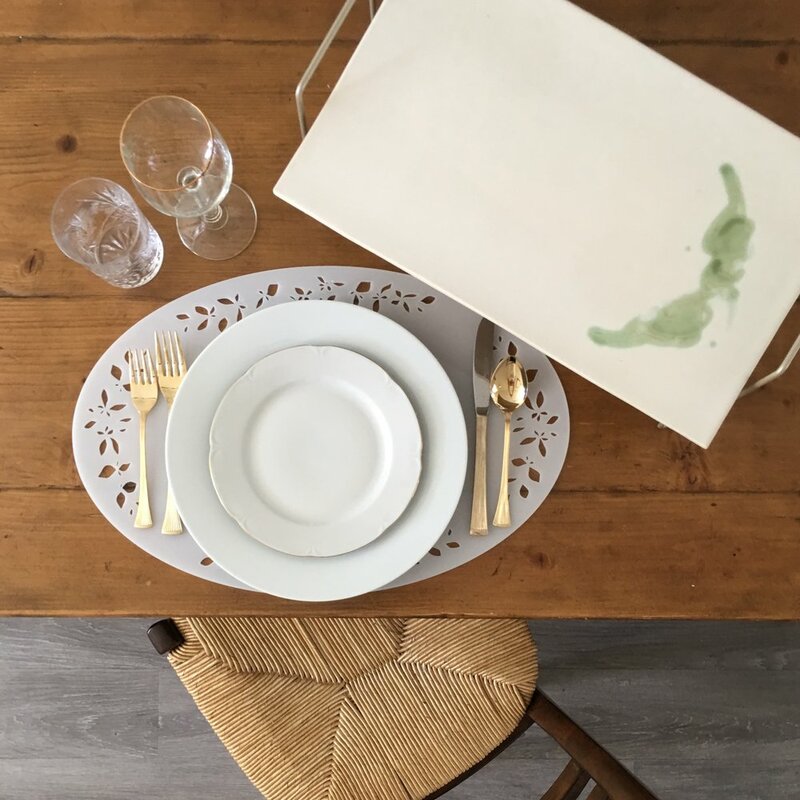 Food Mats are a modern take on the formal 17thc “doily”, with laser cut acrylic taking over the story from crocheted linen. As an ornamental presentation piece, the Food Mat is setting it’s place in the Food Furniture collection, continuing a new tradition in elevating your Dining. If you live anywhere near Vancouver, be sure to come out for this show - and to say HEY to yours truly. It’s a not-to-be-missed event that supports this great Pacific Northwest creative community. Address Assembly has been lauded by Azure Magazine as "...the best furniture and home accessories the Pacific Northwest’s thriving maker culture has to offer..."; Gray Magazine labels the event as "a teeming crowd of design-world cool kids"; and the Globe and Mail describes it as "the annual design showcase highlights the work of leading and up-and-coming designer-makers from the Pacific Northwest". Needless to say, we're UBER honored to be a part of not only this event, but this Maker Community that gets so many opportunities to thrive right here on the Pacific Coast! INTRODUCING | The Hummstooth Print! GAH! We're already in love with this one!! This original watercolor art print is shown here on 100% Linen. Available in INDIGO or AUTUMN TEAL, this print is destined to become a new classic! You can shop this print as a Fabric on Spoonflower, or as Wallpaper, Bed Linens or even Kitchen Linens on Roostery! We can't wait to see what you do with it - be sure to tag #MYakHOME and #artfulelements. A huge THANK YOU to all who visited akHOME at IDS 2017 and/or followed us online this past weekend - it was an absolute pleasure meeting you! 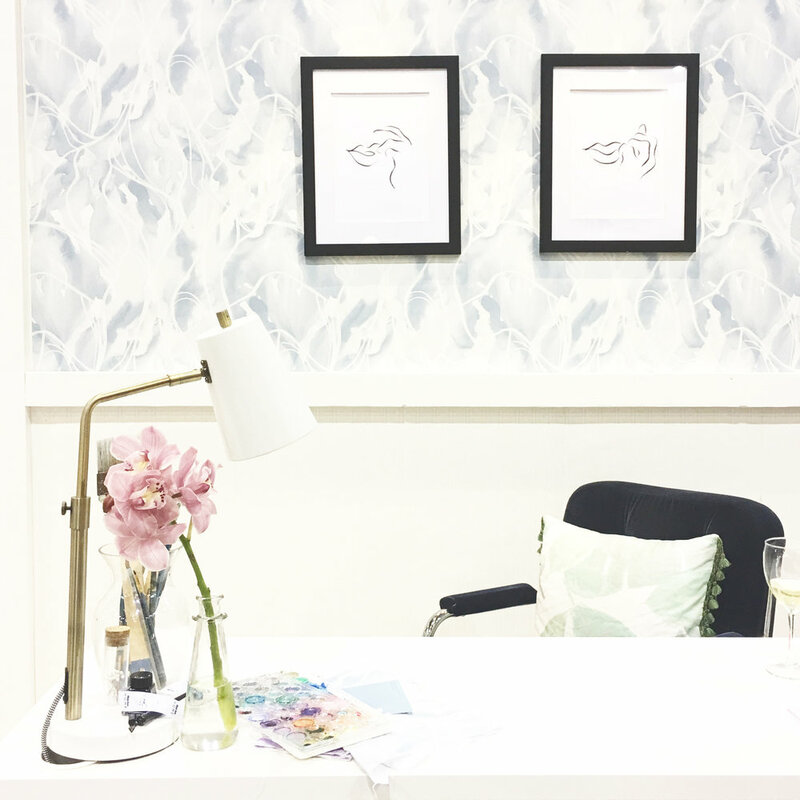 It was exciting to introduce akHOME's newest textiles, WALLPAPERS!, art prints and pillows and your response was amazing - you all touched our hearts. Stay tuned on our website for updates as our latest designs go up online. We had lots of lovely people sign up on site and online to follow our journey and WIN an Art Print, and Apron AND TWO tickets to Oct 20th Little Black Dress Gala --- Congratulations Ashley! We'll be emailing you shortly! If you didn't win this round and you live in the Vancouver area, don't miss the Little Black Dress Gala! Not only does the amazing Help Change My City run a good show full of music, dance, art and fashion - but it's all to benefit women in need in our community. PLUS - you'll get to see the latest from local Fashion designers using our designer fabrics! See you there? akHOME - Launch at IDS Vancouver! It's OFFICIAL!! akHOME is doing our premiere "artful elements" launch next week at Vancouver's Interior Design Show (IDS Vancouver)!! We are SO excited to show you all the things we've been working on over the past months. This season, we love a home that remains light and white and airy for the dark, cold winter months - with accents of moody purples and, of course, black! It's all about bringing artwork off the walls and into every element of your home. We love the reaction when people visit our Studio and are suddenly surrounded by creative, artful, storied objects in every direction. Art, simply, touches the soul and we're happy to share it from our Studio to your HOME. 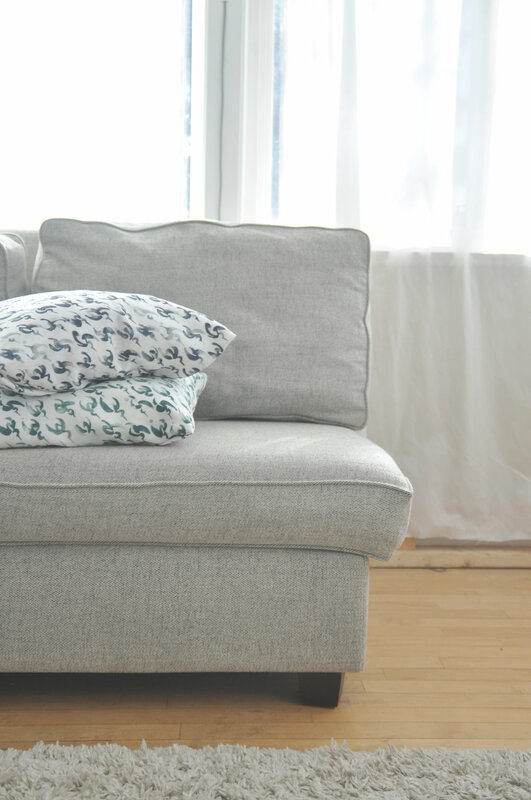 From painted watercolors translated into fabrics, pillows or wallpapers (YES! Wallpaper!!) to gorgeous calligraphy linework, there is a touch of art in every piece we create. Not located in Vancouver? Follow along by signing up for VIP events, previews - and sales! We have some big announcements coming up at akHOME that we cannot WAIT to share with you! Be sure to sign up for our VIP feed to be the first to hear, as well as to receive special discounts etc! !